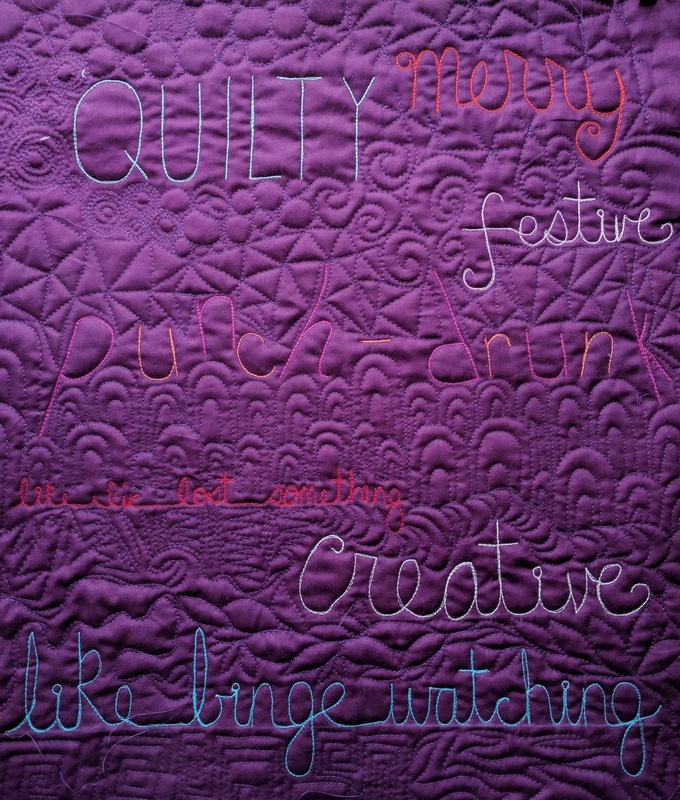 I pretty much quilt my own quilts for the same reasons you do....$$$$ and its my quilt, my artwork! Yes, I have hand quilted a few large quilts and I do not use a hoop. 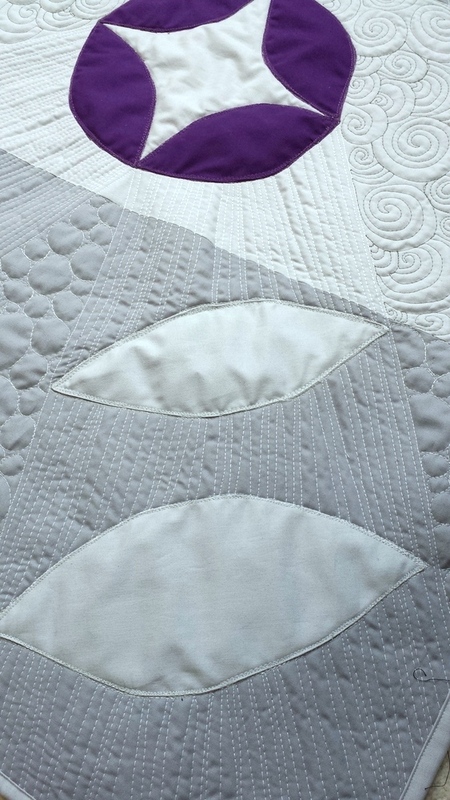 My biggest problem with machine quilting is my back! I am having to take a bit of a break now because in December I did way to much machine quilting and now I am paying the price in my shoulder and neck. Do you have any advice? A good massage therapist works wonders ... but I've learned to watch my posture when quilting and it really helps me to avoid the neck/back pain issue in the first place. Thanks for the info on One Monthly Goal. I'm not a real goal setter but I can manage one a month. I was so inspired (actually liberated) by the low stress concept, I even created my first blog post on my 2 year old Blogger account to join in the fun. 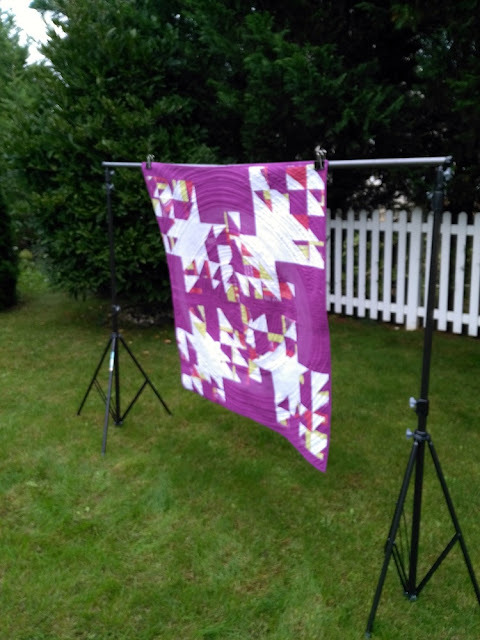 I spent the first 10 years "quilting by checkbook" as we were a two-income family and I had neither the time nor the patience for the quilting phase (I am still hopelessly in love with the design/piecing parts). After I retired and had time to use what all I had learned in the first ten years, I purchased an APQS George (sit down long arm) and am learning to FMQ - so I am now able to translate my vision from beginning to end, I can enjoy the entire process, and relish the fact that I can now "do it myself" even when it isn't perfect (no one has yet to comment on my sometimes wobbly stitching or not perfectly circular circles). The first few gift recipients have been delighted that I did it myself instead of having it perfect - that's serious positive reinforcement! Great posts - thank you for instigating these conversations! I love your recap on quilting your own quilt! And now I have to admit, binding is one of my favorite parts of the entire quilting process. It's something I look forward to as not only the (often) final step but as my reward for all that hard work, getting to sit down and watch a good movie and SLOWLY hand stitch the binding down. Did you know that hand stitching can actually be stronger than machine stitching at times??? Anyway, I love that part. 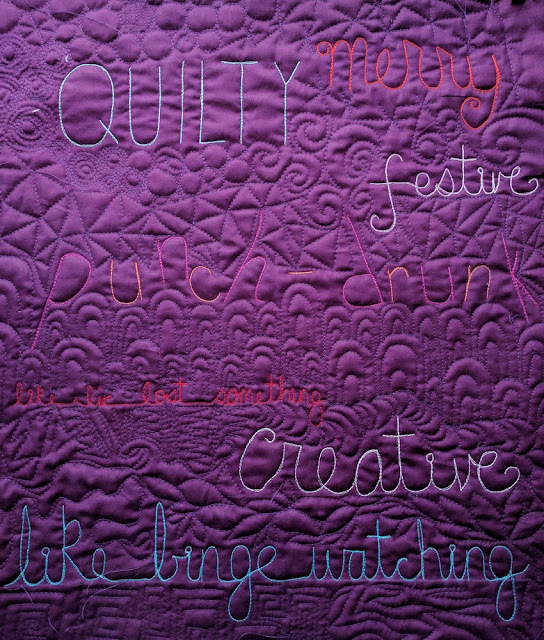 In fact, I just finished quilting a wall hanging for my sister's birthday today and tomorrow is my movie day! I appreciate your adding the follow up post and I will be linking to both of your posts in my next newsletter. Thanks! Great responses. It's interesting to hear other's perspectives.